At Destify we simplify so you can unify. on the beach. 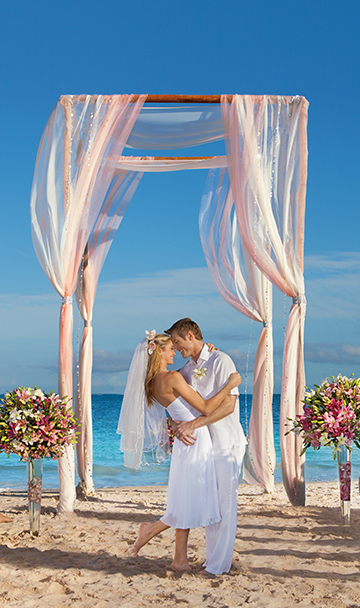 We work with hundreds of resorts in Mexico and the Caribbean that specialize in affordable destination weddings. From all-inclusive packages, to boutique resort buy-outs, to elegant off-property venues, we can satisfy your every wedding intricacy! If you’re just starting out, we’ll help you narrow down a destination and choose among hundreds of different resort options, based on your preferences, current sales, and group discounts. We work directly with wedding coordinators and sales managers for every hotel we sell. We’ll help you lock in your wedding date, pick the venue, and select affordable destination wedding packages based on your budget. We will take care of the airfare, accommodations, and transportation for all of your guests, regardless of where they’re traveling from or how long they’re staying. We’re available to assist with any questions or issues any time before, during, and after your trip. A 24-hour emergency support line is available for immediate help. Pick from hundreds of venues! 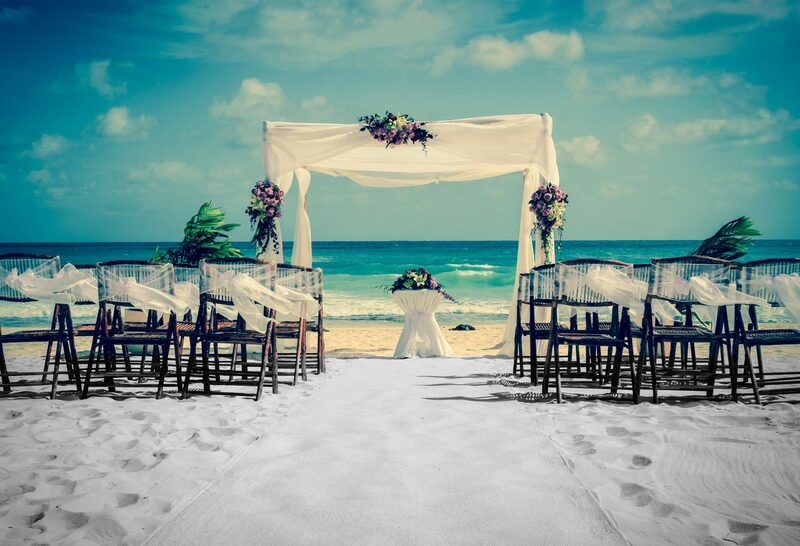 Over the past five years we have booked over a thousand destination weddings to Mexico, Jamaica, Dominican Republic, Aruba, Costa Rica, and many other destinations. 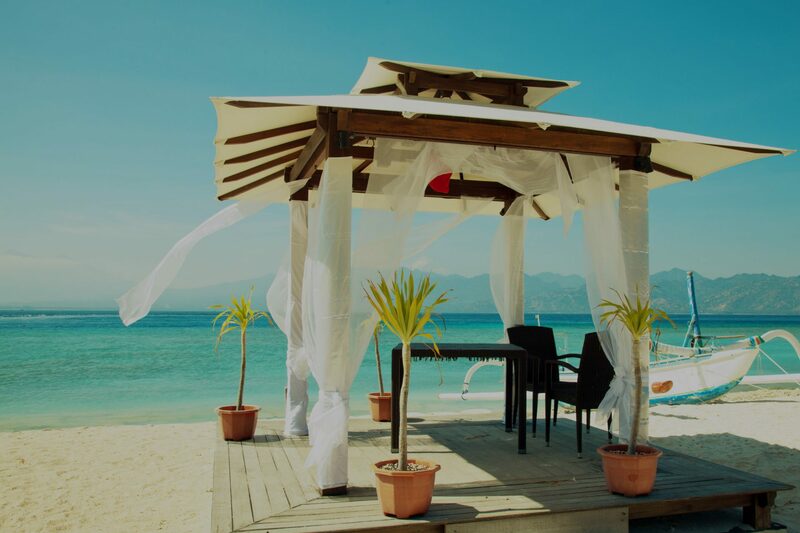 Through our award-winning journey of helping our clients with the most important day of their lives, our destination wedding travel agents have truly learned what it takes to make a difference when planning affordable destination weddings. With the highly responsive service of our attentive and professional destination wedding experts, high level relationships across the industry, and a streamlined way of booking and managing your wedding, vow renewal, or honeymoon we simplify the process and let you focus on your fantasy! We've helped thousands of couples! "They provided all the answers to my many, many questions and gave me direction and knowledge on things I didn't even think to ask." "Michelle is amazing! Vacations are intended to be entertaining, relaxing, and stress-free. If you are in the market for that experience, book your group vacation with Michelle." "Candyce Roa with Destify has been an absolute dream! She is so efficient, helped answer all of our questions, and is SO speedy with her responses." "Working with Melissa from Destify was an absolute pleasure. 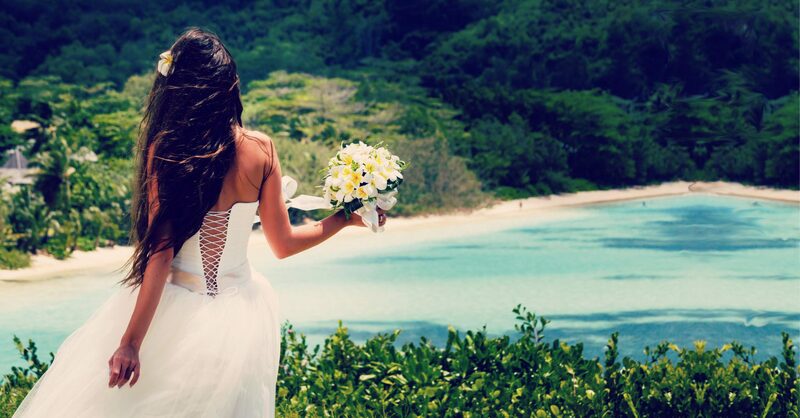 She totally took away all of the stress that comes with planning a destination wedding. My guest all raved about what an amazing job she did helping them book their stay." "Daniel O’Sullivan was our travel agent representing Destify and he was fabulous! In terms of professionalism, he was the best. There were 21 people in our group traveling to Punta Cana coming from several different states. Our flights and Resort arrangements were perfect." "I highly recommend having Carolina on your team bride! She swiftly made the arrangements with the hotel, saved the date, hooked us up with an online app from which to invite guests, and connected us with the wedding coordinator and photographer on site. " "I had such a great experience using Destify. My travel agent Andrea made everything so smooth and easy for me and for my guests. I would highly recommend her as she helped me pick the right hotel for my destination wedding. Great prices too!" "The resort was beautiful and full of activities and live performances! Brittany is now my forever trip advisor and she is already working on my next vacation to Punta Cana in 2019! A huge thank you to Destify for having a worker as good and dedicated as Brittany!" "I found Destify Online and got paired up with Hilary. What an Angel! She's always helpful, prompt, and gets all my requests done. I'm so so glad she's my Planner! A weight has been lifted! This company gets 5 stars in everything!" WE’RE NOT JUST A PRETTY WEBSITE. Our real asset is our agents. We only recruit highly professional, knowledgeable, responsive experts that have outstanding customer service skills and an endless passion to help our clients’ dreams come true. There are only so many ways we can describe our process until you have to try for yourself.